Hematopoiesis is a very dynamic process as the short-lived mature blood cells need to be continuously re-placed to carry out their crucial tasks in oxygen delivery, wound healing and defence against pathogens. The ontogeny of hematopoietic differentiation originates with the hematopoietic stem cells, which acquire epigenetic changes that activate transcriptional programs resulting in progressive lineage restriction. This restriction is associated with morphological changes and a loss of proliferation in subsequent developmental stages of the progeny. Hematopoietic stem cells are rare and are characterized by their capacity to undergo self-renewal divisions securing their maintenance throughout a life-span. Hox genes are master control genes in cell fate determination of the embryonic body plan and are epigenetically regulated by the antagonistic actions of trithorax and polycomb genes. The expression of Hox genes in primitive hematopoietic cell populations and their frequent aberrant expression in leukemias support the concept that this set of developmental genes plays an important role in regulation of hematopoietic stem cell function, primarily self-renewal, proliferation, differentiation and lineage commitment. 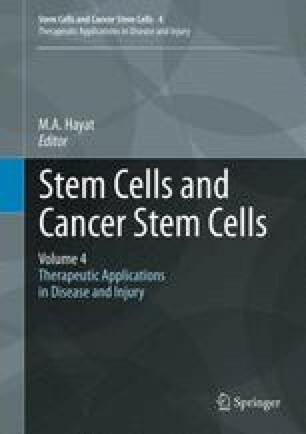 Comprehension of Hox gene function in hematopoiesis, in particular of stem cells and progenitors might thus not only lead to the development of new cell therapy strategies for hematopoietic deficiencies, but also to innovative strategies to interfere with cancer stem cell pathways.